The Costa del Sol getaway, on the eastern end of the coast. Easter is almost here! Check out our Easter in Nerja page for more information. 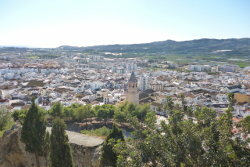 Welcome to Explorenerja.com, the up and coming guide to the pretty coastal town of Nerja on the Eastern Costa del Sol. This site aims to bring to you the information that every visitor needs to know when visiting. From beaches to festivals, hotels to places of interest, you can find it here. Why not glance through our guide and start exploring Nerja a little more with us. 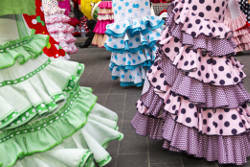 Nerja has numerous fiestas all with their own special significance, characteristics and traditions. The Nerja Caves are a fantastic series of caverns which no visitor should leave without seeing. Nerja is neighboured by some wonderfully character filled, white walled, Andalusian villages. If you’ve never visited Nerja or know it only as a town that somebody once mentioned to you, this is probably a good place to start exploring what it has to offer. Mixing old and new with its quaint Mudejar style old town, modern apartment blocks, hotels and bustling tourist trade this community of some 23,000 residents founded on agriculture and fishing attracts visitors from all over the world thanks to its miles of sandy coves, mild year round climate, pretty plazas and internationally known caves. Nerja is a town fortunate in the number of attractions that it has right on its doorstep. Take a look at our quick list below to get you started. 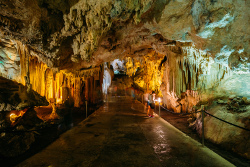 The Nerja Caves – Undoubtedly the site which put Nerja on the map as regards tourism. Discovered in 1959 and boasting some considerable claims to fame no visit to the municipality is complete without a wander through these spectacular caverns. Take a look here for more information. Balcón de Europa – Possibly the most well-known "Mirador" on the Costa del Sol. A place with an interesting history, great views along the coastline, focal point of the town and tourists favourite. It’s THE place to get your picture taken whilst you’re visiting. Check out our page dedicated to the Balcón de Europa for information and photos. Burriana Beach – Undoubtedly the areas most popular beach amongst national and international tourists. Burriana is a place where you’ll find everything you’ll need for a day out at the beach from golden sand, to a wealth of bars or "Chiringuitos" as they’re known here, water sports, changing rooms and even kayaking trips for the kids all just a short walk from the towns centre. Find out more about Burriana beach here. La Cala de Maro – Another one of Nerja’s beaches although located on the outskirts of the towns administrative area in the neighbouring village of Maro. This beach is famous throughout Spain for its sparkling clear waters in a rustic, rural setting. Indeed it’s so highly regarded its considered one of the best beaches in Andalusia. Learn more about Maro Beach here. Natural Parks – Nerja is increasingly becoming a choice spot for hikers with not one but two Natural Parks right on the doorstep. To the north the Sierras of Tejeda, Almijara and Alhama offers a wealth of hiking for adventurous individuals with well-maintained tracks to peaks as well as through steep gorges. To the east the Natural Park of Los Acantilados de Maro-Cerro Gordo with easier walks for the less prepared and stunning sea cliffs and beaches perfect for those wishing to explore the area by kayak. Nearest Airport: Málaga - 56km (approx). The coastal town of Nerja which sits within the municipality of the same name lies approximately 56km east of Málaga, 118km south west of Granada and 126km west of Almeria. It sits a stone’s throw from the border of the Costa del Sol and Costa Tropical with the nearest airport also being located in Málaga which is a 45 minute car journey away. The municipality of Nerja is found within a larger area called the Axarquia, a region which accounts for almost all of the eastern Costa del Sol and has as its capital the city of Velez-Malaga, a small city but a historic one. Nerja is neighboured to the west by the municipality of Torrox which has both a hill top village and coastal area, to the east by the tiny village of Maro and to the north by the pretty mountain village of Frigiliana. Nerja is fortunate enough to be located in an area of great natural beauty both coastal and mountainous which has led to it being popular with artists, photographers, walkers, divers and kayak enthusiasts. To the east, on the edge of the municipality and from the village of Maro begins a coastal natural park with protected beaches and wildlife where mountain waters flow and cascade straight into the Mediterranean. To the north and bordering the village of Frigiliana is a mountainous natural park made up of three separate ‘sierras’, the Sierras of Tejeda, Almijara and Alhama which stretches all the way to Granada providing a natural insulation for Nerja from the colder northern air. Nerja, sometimes referred to as the ‘Jewel of the Costa del Sol' has a long history of human habitation with evidence dating back 42,000 years. This early historical signal comes from the Nerja caves and the famous cave paintings that could potentially be the oldest images ever created by man. Indeed, much of the pre bronze-age evidence comes from the caves which were used by roaming hunter gatherers for shelter. Archaeological investigations in the area have found though that approximately 6,000 years ago the humans of the region began farming and rearing livestock with the caves eventually being abandoned some 3,000 years later. With the coming of the Romans to the peninsular, three settlements sprung up close to today’s town, the largest being called ‘Detunda’ which was approximately 1km from the site of the caves, the remains of which are still visible. It was a small town located on the road between Málaga and Almeria and was used as a resting place for soldiers and traders. In the early 8th century new Arab rulers came to power. Under the rule of the Emir of Cordoba the town grew in a different part of the municipality than before and its purpose changed to that of an agricultural community whose primary focus was on the production of silk. The material, popular in Granada and Málaga, rose to fame throughout the Muslim world with Nerja’s silk being traded in the markets of Damascus from the 10th century onwards. By this time the town was called ‘Narixa’ which slowly evolved into today’s name of Nerja. The year 1487 brought great change to the entire region when the Catholic kings re-conquered the Axarquia area by taking the city of Velez-Malaga. Pedro of Cordoba assumed control of Nerja. This change brought much instability, with Muslim residents being told to convert to Christianity or leave while pirate raids by the Berbers of North Africa increased significantly. As a result Nerja went through a period of fortification. Most of these fortifications are now destroyed, strangely enough by the British as part of peninsula wars of the early 19th century. On Christmas day 1884 the entire region suffered a devastating earthquake which did great damage in Nerja, removing almost all signs of the towns earlier defences such as the gun battery that was located on today’s Balcón de Europa. The King of Spain Alfonso XII visited the region to see the damage for himself which led to a historic moment in Nerja’s recent past. Standing on the site of the ruined gun placements he is said to have labelled the site the ‘Balcony of Europe’ which is where the Balcón de Europa is said to have got its name although there is evidence that the name was already being used prior to the Kings visit. At this time Nerja’s new business was the production of sugarcane thanks to the Larios family of Málaga who capitalized on the loss of Cuba to the Spanish empire and its sugar production. The family built a number of factories along the eastern Costa del Sol which were very profitable for a while until Northern Europe caught up causing a decline in the industry. The region continued with agriculture though, now producing tropical fruits such as mango, papaya and avocados, something which still continues today. Of course following the discovery of the caves in 1959 tourism became an increasing industry for Nerja which has led to another period of growth and stability for this town steeped in colourful history.